Quartz stones are generally called as 'Vellaramkallu' in Kerala. 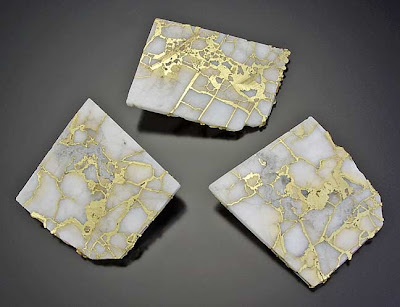 It has a hardness of 7 on the Mohs Scale; which makes it scratch resistant even against steel knives or forks which are only 5 on the Mohs Scale. Quartz Slabs are made by heavy duty compression of powdered quartz stones mixed with synthetic adhesives- a technology developed and patented by Italian Stone Processing Equipment Manufacturing Giant- 'Breton'. Breton, a privately held company of Treviso Italy, is the dominant supplier of equipment for making engineered stone. A mixture of 93% quartz and 7% polyester resin is pressed into slabs (or larger blocks) using Breton's "vibrocompression vacuum process". Although Breton was the original manufacturer of slab moulding equipment, there are now several other companies producing similar machinery. The Chinese company Keda Stone Machinery being one of the largest. 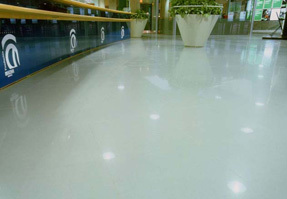 Quartz Slabs can be used as a Flooring material that is resistant to mild acids or stains. 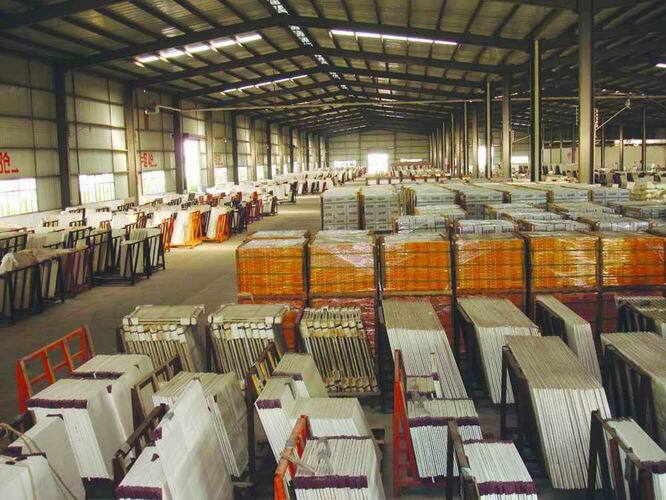 The price is about Rs.600 per squarefeet.Apart from Italian Quartz slabs, Slightly inexpensive varieties of Chinese Quartz Slabs are also available in the Kerala market. 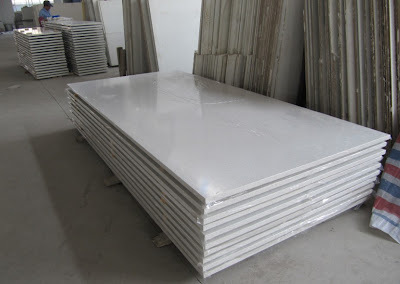 Highly Stain-resistant, Scratch-resistant and Natural Stark white flooring slabs- This is what Quartz Slabs are. Composition- Quartz is the major filler, although other material like coloured glass, shells, metals, or mirrors might be added. 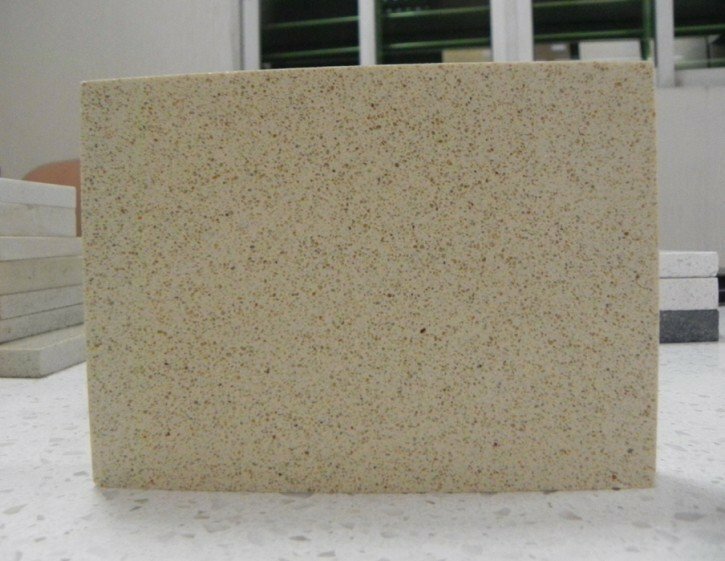 A typical material will consist of 93% quartz by weight and 7% resin. 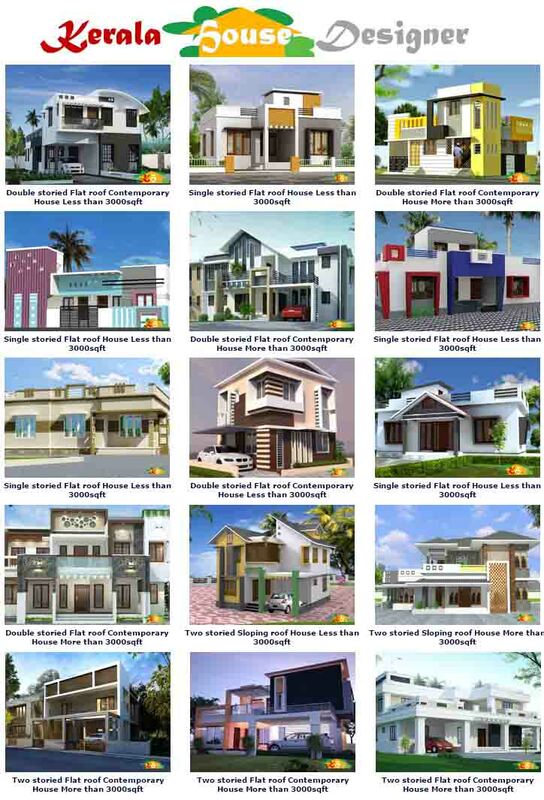 Different types of resins are used by different manufacturers. Epoxy and polyester resin are the most common types. Chemicals such as UV absorbers and stabilizers are added. To aid curing, peroxide is added. The material is produced in either 12 mm, 20 mm or 30 mm thicknesses. The most common slab format is 3040 mm x 1440 mm, but other sizes like 3040 mm x 1650 mm are produced according to market demand. In Kerala, Quartz Slabs are imported by - 'Granite International' in Kochi. It has passed the US NSF-51 Standard Certification for Food Protection and Sanitary Requirement which makes it safe for use as Kitchen Counters or in Food Industries.